A VM can have multiple secondary IP addresses assigned to a NIC with a single MAC address. Sometimes called IP aliasing, secondary IP addresses are useful for tasks such as setting up multiple sites on virtual web hosts or having multiple connections to a network, each of which can serve a different purpose. Secondary IP addresses work only with Skytap automatic networking. 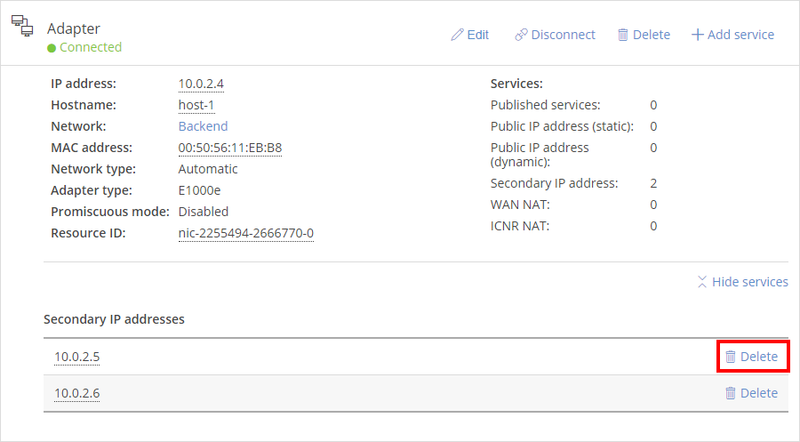 You can add secondary IP addresses while the VM is running. You don’t need to shut it down or suspend it. The Skytap DHCP network service does not automatically update these IP addresses in the guest OS. You must manually add IP addresses in the guest OS. All published services and public IP addresses are routed to the primary IP address. You can’t delete the primary IP address. A network adapter can have one primary address and up to 254 secondary addresses. Actual IP addresses aren’t preserved in a template. 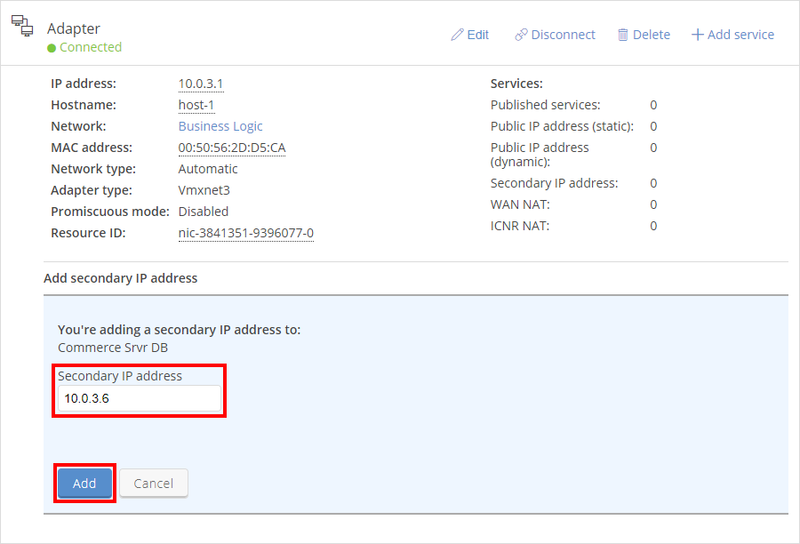 New IP addresses are assigned when you create an environment from the template. If there aren’t enough IP addresses available to allocate all of the secondary IP addresses, the VM is created with no secondary IP addresses. From the VM Settings page of a VM, click Manage Secondary IPs. The Secondary IPs window displays. Click Add to add the next available IP address or manually edit the secondary IP address, and then click Add. If the IP address you entered is available, it’s added. Repeat to add more secondary IP addresses. Manually assign the IP address in the guest OS. Click Detach to remove an IP address. Manually remove the IP address assignment from the guest OS.